Our Captain’s Suite is spacious and magnificently appointed for the guest who wishes to really spread out. Step down into the large bathroom we’ve provided for you, enjoy the powerful architecture; the walnut tables with marble tops, the fringe which softly hangs from the lamps, the cozy love-seat just big enough for two. The Captain’s Suite envelopes a good deal of the second floor and has maximum exposure and view. A true “special occasion” room, let us know how to make your stay even more memorable with optional amenities like chocolates, flowers, a custom little cake or the height of indulgence…breakfast in bed! 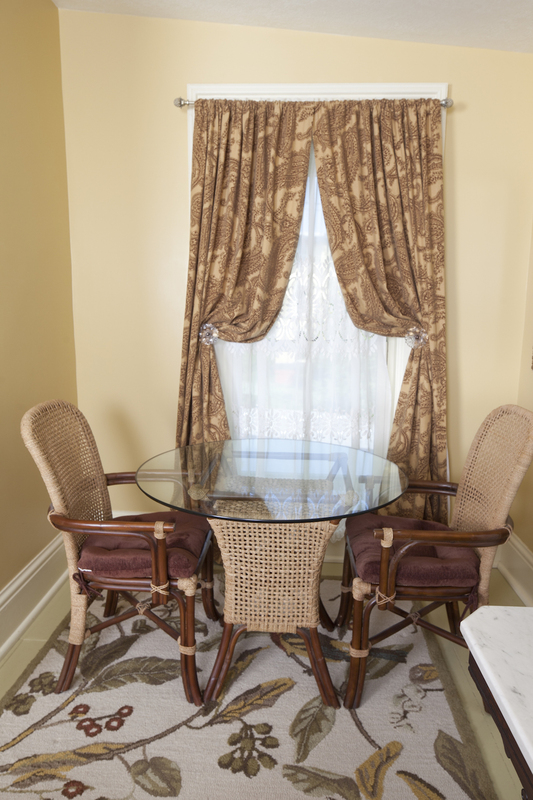 Accommodates up to 3 guests (additional twin day bed available for third guest). *Note on breakfast: please let me know if you have dietary restrictions in advance of your stay, so I can be prepared to accommodate you. Do you have questions before booking? Check our Frequently Asked Questions page. Inspired by the original pumpkin pine flooring uncovered during renovation, Harmonius lives up to it’s name; the perfect blend of robust color and antique oak furniture that defined the Victorian Age. Harmonius is the name of Captain Visger’s son, who assumed the nickname of “Will”. Pity, Harmonius says so much more, and you’ll feel it in this stately room. 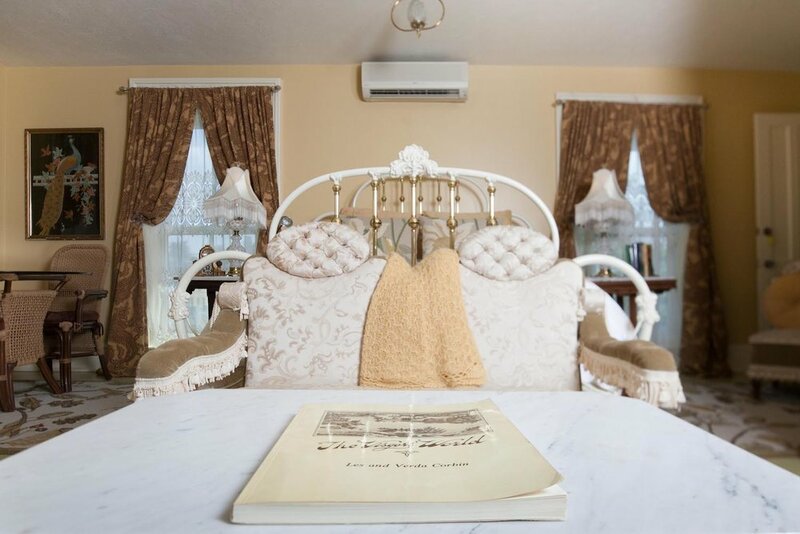 It has a queen sized bed with quality mattress and all-cotton linens, a private bath, and affords a northerly view of the enchanting Boldt Castle Pump House on Heart Island. Queen Victoria’s wild side is channeled in this space, my personal favorite. Catherine July offers a queen sized four-poster bed, all-cotton linens, a private bath, whimsy and a moose to keep watch over things. This delightful room is guaranteed to make you smile, or breakfast’s on us! Actually it already is, but you’ll be smiling for sure. Catherine July is the unique name of one of the Captain’s daughters; July for the beautiful month on the river? We’ll never know, but “her” room faces west-northwest, is very private at the top of the back staircase, and affords a peek of the main shipping channel with boats of all sizes and descriptions. 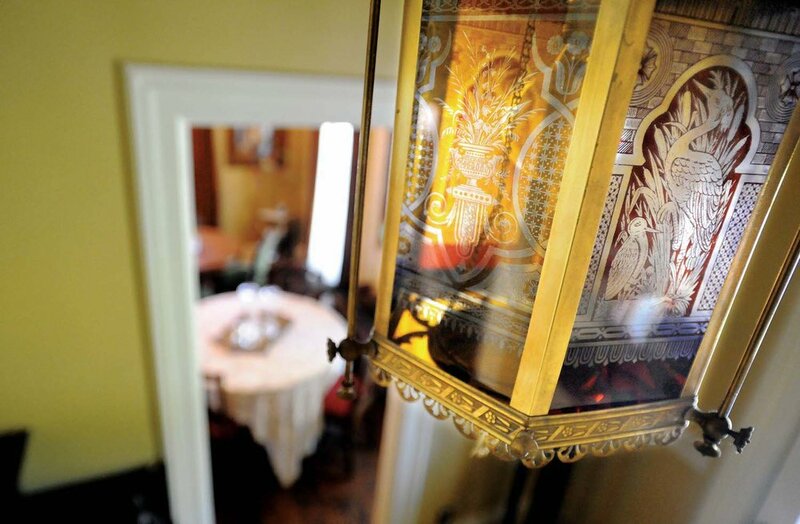 Lavina’s Retreat is classic Victorian room with a modern twist. The decor can best be described as Victorian fusion. 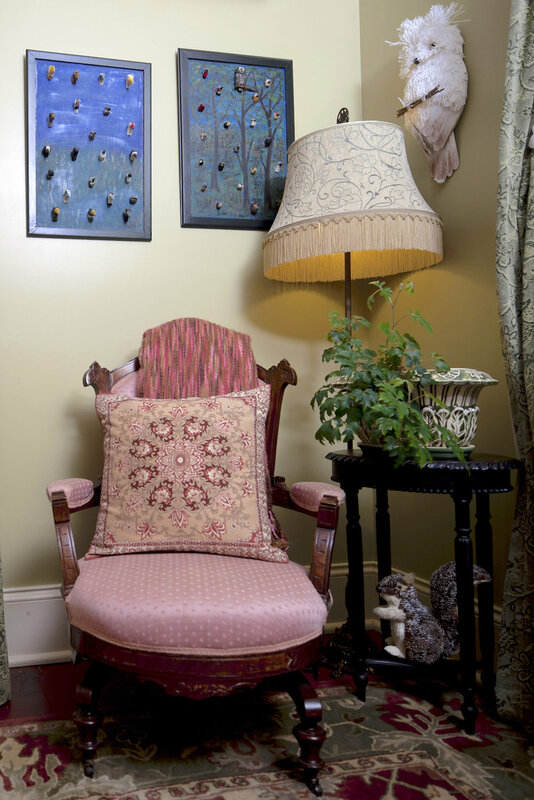 The influence is India, Africa and classic old world furniture. 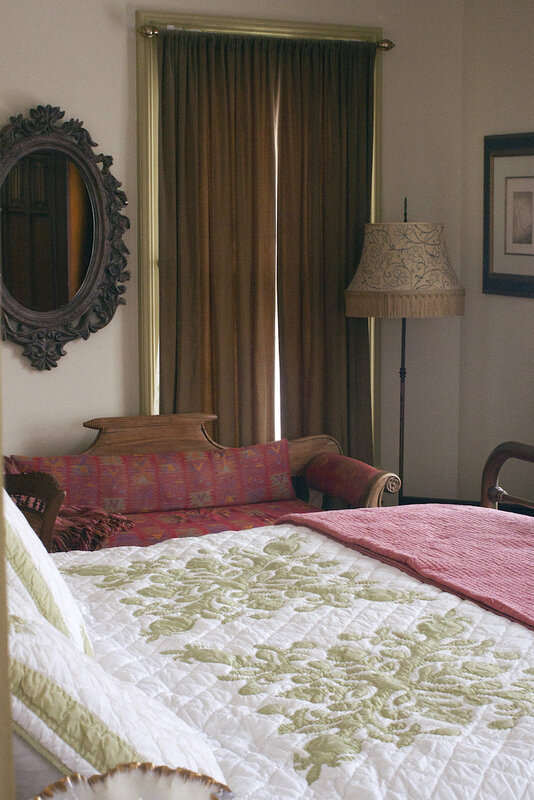 Lavina’s Retreat is spacious in every way including the most comfortable king size bed. It is not typically feminine, neither was Lavinia. It is delightfully unique and oh so comfortable. Join our mailing list for news about Captain Visger House and for exclusive discounts and offers. We respect your privacy. We'll never send you SPAM and you can unsubscribe at anytime. Thanks for joining our list, you'll hear from us soon!